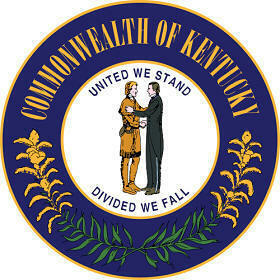 The Kentucky state seal identifies government buildings and officials and is a centerpiece for the Kentucky state flag. The symbolism, history and emblems of the seal are described in this article with fast facts and information. 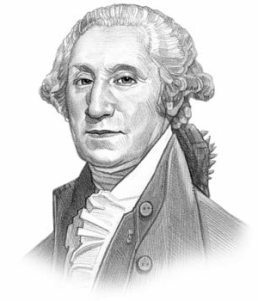 Fact 3: Adopted in December of 1792. Kentucky officially uses the name "Commonwealth" emphasizing that they have a "government based on the common consent of the people" as opposed to government legitimized through their earlier royal colony status of Great Britain. One man is dressed in the buckskin clothes favored by the early pioneers or frontiersmen. This is a flyer depicting the 1876 design of the seal. Two statesmen, or politicians, are featured in the center and the pioneers, or frontiersmen, are depicted separately exploring the lands.